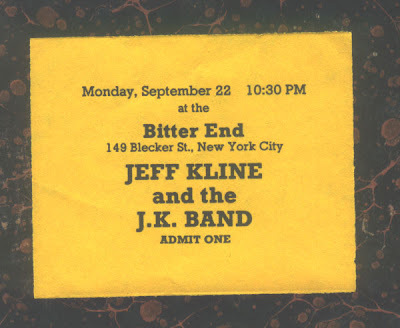 Concert ticket, 3 inches by 2.5 inches. Found in "Speaking With The Angel: Original Stories" edited by Nick Hornby. Published by Riverhead Books, 2000.